A range of LED lamps that come in a BA15D type mounting. 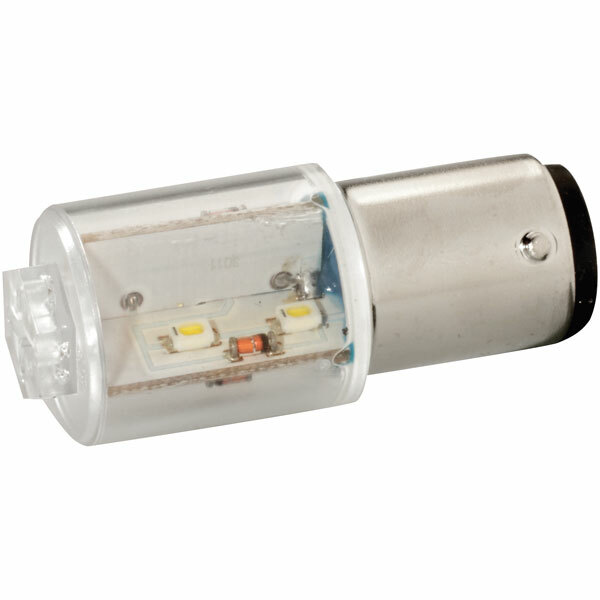 The LEDs are available in a choice of popular colours in a choice of 24 to 28V or 230V AC/DC. Multiple die to ensure long life and a full 360° output make these lamps an ideal replacement for conventional filament lamps - leading to significant time and cost savings.